NGZ is a great place to volunteer. 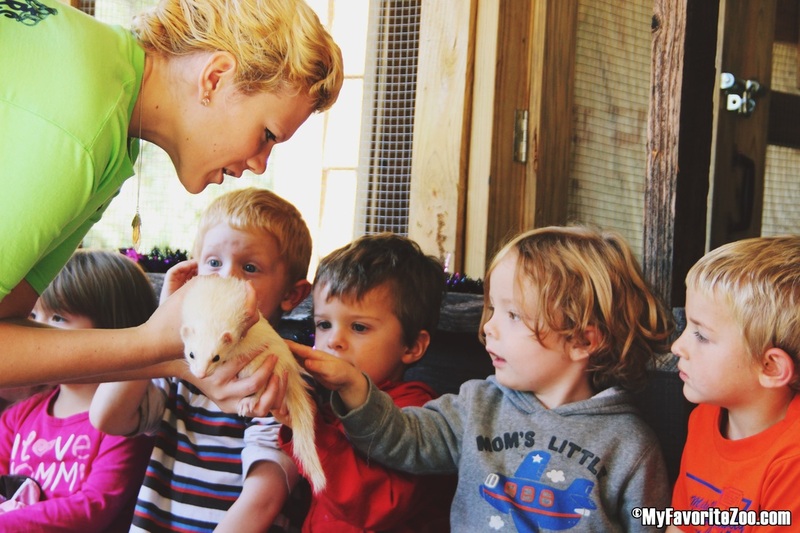 We have a family friendly experience with lots of perks for our volunteers. We have volunteer opportunities at all levels and experience! Single, Married, Family, Retired and Teens all love to volunteer at NGZ. You may choose to volunteer in specific areas or in all the areas. You can volunteer as little or as much as you want. We want to help you work with us! We have a variety of volunteer opportunities that you may request, choose from. Click here for a Word version of the application. *Assist with visitor experience in the farm/ petting area. * Assist Keepers with cleaning. *Promotions -helping us get the word out! *Must have completed 50 volunteer hours within a year in order to move to a level 2 volunteer. Ages 13 and up. * Assist in helping and training new volunteers including children. *Trained on doing mini animal encounters with a few small animals. *Oversea the petting zoo pen activities including bottle feeding, grooming, baby animals. * Assist zookeepers in feeding and caring for certain animals. * Live animals for promotions outreach program. *Implement activities and small events/fundraisers/ promotional opportunities upon approval. *Assist zookeepers in preparing food, feeding, cleaning, enrichment and training of animals. Simply fill out the Volunteer Application and email it back in. If you have certain preferences or areas you want to volunteer in or don't want to volunteer in, please note that on your volunteer form. Volunteers can start as soon as the form is received. Level one volunteer opportunities are on days that the zoo is open to the public.